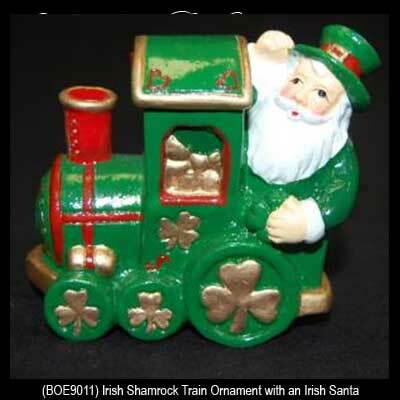 Shamrock Train Christmas Tree Ornament with an Irish Santa. Hand Painted, Full Color with Lots of Shamrocks, Dimensional Design. 2 1/2” Tall x 2 1/2" Long x 1.5" Wide, Made of Resin, Gift Boxed.